Home › Ole Mission Blog › What Are Dried Arbol Chile Peppers? What Are Dried Arbol Chile Peppers? 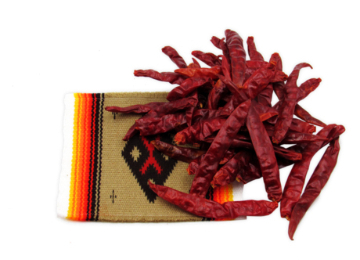 Dried Arbol pepper is a little red chili whose name is derived from the woody stem attached to its pod. The pepper is very elongated and narrow with a sharp point. They have a brilliant clean warmth that is extraordinary for improving different flavors in a recipe. The peppers are green when maturing but turn red when ripe. They are rarely used in their fresh form but have a number a uses when dried. Their drying process boosts their flavor by combining a complex but sometimes bitter flavor profile. They have a grassy and smoky character with a sharp heat and should be used sparingly. Where Do Arbol Chiles Come From? Arbol pepper is believed to have originated from Jalisco and Oaxaca states of Mexico. Arbol is Spanish for “tree-like” since it is obtained from tall trees from where it grows. They grow over five feet in height. Arbol pepper is grown worldwide and has seasons for its growth. In the northern hemisphere, it grew between March and April and harvested between September and October. In the southern region, farmers grow it between July and October and are ready for harvest by February. The Arbol pepper is resilient and easy to grow. Looking For Quality Arbol Chiles? Arbol pepper contains a medium heat pop of between 15,000 and 30,000 Scoville heat units. The heat pop is double the favorite reference point, the jalapeno pepper, but not hotter than the common cayenne pepper closely related to it. The heat is a bit acidic but with a good taste because it is rich in flavor. However, there is more to this chili than just the heat. People prefer these type of chili since it is tastier than the cayenne pepper and its heat levels are also much lower. Many describe it as having a nearly smoky flavor with a light grassy undertone. What Foods Are Arbol Chiles Used In? Arbol chiles are best used when grounded and toasted with other ingredients to form a spicy table sauce. The sauce is mainly added to fried beans. Its other frequent use is when slightly toasted and ground to form a powder used mostly to sprinkle on jicama, fruits, peanuts, and cucumbers. The most common are the curries, pickles and chutneys and even cold drinks. Place the chiles in a dish of warm water and place a small plate on top to keep them submerged. Leave to soak until fully rehydrated and soft. Usually takes 30 minutes. Drain the chiles and pat dry with kitchen paper. Tear the chiles open and remove the seeds, veins, and stalks. Alternatively, roast the dried chiles in a pan until they change color and taste. Cool, then grind to a powder. Keep it in a sealed container. This way the powder can last up to a year. One will notice that there is a difference starting with their spelling. Both are common and are found in a variety of dishes across the cooking range. Chile powders are made of pure ground dried chile peppers with no other additives. Chilli powders, on the other hand, is a blend of chile peppers with other additives like salt, peppercorn, cumin, and oregano. 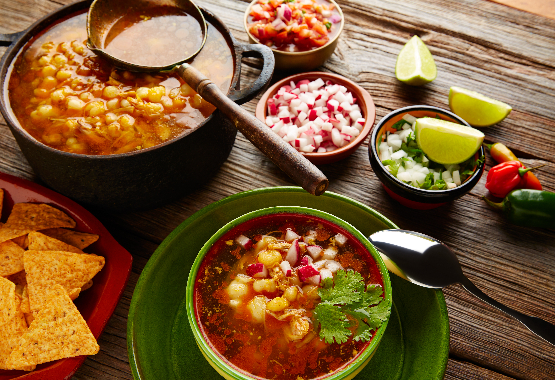 Different chili brands produce different blends depending on the amount of heat the brands aims at achieving. It is usually difficult to tell the difference between the two powders, and the only way to tell the difference is by reading the ingredient label. Most users prefer chili powder as it has been blended with their preferred spices while a few prefer chile powder as it allows them to blend it a particular spice they want for each. This type of salsa is spicy as any salsa should be. Its flavor is all garlic and chile and is served with eggs, burritos, and nachos. - Two tablespoon canola oil. Heat the oil in a 12” skillet over medium-high, fry the garlic for three minutes until brown, add the onion and two for further three minutes, add chiles and leave to cook for two more minutes, add tomatoes and a quarter cup of water. Leave to cook until tomatoes form a paste. Sprinkle some salt and water and leave to cook until smooth. This is not the usual salsa. It is a very spicy, rusty red, and good for drizzling over eggs tacos, and anything cooked on a grill especially pork. - 16 dried Arbol chile peppers. Roll the Arbol peppers between the fingers to loosen the seeds, cut the chiles into halves and shake out the seeds, or the oil into a large skillet and set over medium heat, pour the chile peppers on the hot oil. Cook and turn regularly and the chiles are aromatic and have slightly changed color. Scoop the peppers using a slotted spoon into a jar leaving behind as much oil as possible wipe out the oil from the skillet and set back the skillet over medium heat. Place the tomatoes and garlic cloves in the skillet. When the cloves turn brown, turn over and heat the other side till brown. Remove the tomatillos and place them with the chile peppers. Add a quarter cup of water and lemon juice. Add pepper and salt to taste. Blend until generally smooth. Pour the salsa into a bowl and let it cool before serving. It is best served after a day. Where to Buy Whole Dried Arbol Chiles? Arbol chiles are available in most Mexican marketplaces since it is a common commodity in Mexico. It is however not common in the United States except for states close to the Mexico border. They are however available in most online stores. On amazon.com the product goes at a price of between 7 and 9 USD. More information can be retrieved from the Amazon website using the following link. What is a good substitute for Arbol chiles? The unique taste and medium heat of the Arbol pepper make it more popular and sort out for. What if it has gone out of stock and not easily accessible, which other options are there as substitutes to Arbol pepper? Japones closely resembles Arbol only that it is flatter in appearance when dried and broader in the middle. It has exact same heat as Arbole,15,000-30,000 Scoville heat. It, however, lacks definite flavor as the Arbol since it has a complex flavor. It has a clean bite but lacks the nutty undertone. In the absence of Arbol pepper, it would not be a bad idea to try out the red pepper. Crushed red peppers characteristically contain cayenne pepper base with lesser heat peppers than the cayenne. This brings the heat level lower to around the level of Arbol pepper. This is an absolute rade off since you get the required heat although without the required flavor.